One of the funny things about the Universe is, there’s only one way to be right, but an infinite number of ways to be wrong. For example, I know that the science of astronomy is getting better every day at describing the overall state of the Universe, approaching the ability to describe just how things work. We may never achieve that ultimate goal, but we get ever closer. Moreover, I know that astrology is completely wrong, and provably so. Even better, there are a hundred different flavors of astrology, each of which claims to work, yet none of which actually does. See? One way to be right, lots of ways to be wrong. So once you slip off that narrow path of reality, you are surrounded by an infinitely deep fog of nonsense which just gets thicker and more difficult to navigate the farther off the path you stray. I suspect there is no actual wrongest thing in the vast reaches of antiscience, because its illogic goes on forever. But if I had to choose, I bet reverse speech would be in the Top Ten. You know this idea; you take what someone says, reverse it, and find out that Paul McCartney is actually Bigfoot. Or something like that. The people who claim this is real — and yeah, they’re out there, and just as earnest as any other zealot who kneels at The Pulpit Of Nonsense — never give a reason why this works, or a mechanism that explains how reversing the time variable in a recording should yield anything but comical noises. And we know why this stuff seems to work when it’s presented to you: if someone primes you with a phrase that they want you to hear when speech is reversed, it really does sound like what they claim. Of course, if they don’t tell you what it is, ten different people will come up with ten different phrases. But why should logic, reason, and mechanics stop someone from just making stuff up? Which brings me to the hilarity that is the EVP Reverse Speaking website. They claim that by reversing your speech you can learn The Great Truths (which, if it were true, would be that reverse speech is really, really silly). They even have examples! And what examples they have, oh yes indeed. On this page, they reverse my own speech. Yeah, me, your host and Beloved Internet Personality™. And not just me, but also sound bites from Randi and Michael Shermer, just to hit a skeptical trifecta. Now, I hate to make fun of people, but at some point, really, it’s simply impossible not to. In this case, this stuff is truly well and remarkably ridiculous. Did you listen? Try again, a couple of times. What did I say, reversed? They claim I said, "Their walls hit," clearly meaning Randi hit an astral wall when he had his heart attack a few years ago. Funny. To me it sounds like I’m saying, "They’re all sh*t," which, had they made that claim, might actually sway me to their side. Just a little bit. And the best part? They didn’t even excerpt the whole sentence I said! They cut the last bit of the sentence out, so what they use is, "Thanks a lot, Rand." Note the missing i at the end; not Randi, just Rand. So they had to edit out part of Randi’s name to make their point… whatever the heck their point is. The rest of the site is full of incomprehensible gobbledygook just like that. It’s like someone took a bunch of ideas, wrote them down on postcards, cut them up into bits, rearranged them, and then created a website based on what they found. I suggest, dear reader, that you take a look around there. It will remind you of just how silly claims can be, and just how far we skeptics have to go. TAM7 boasted over 1000 attendees. In my podcast Skeptoid, I cover a lot of topics. Some of them are fresh to many listeners, some of them, not so much. I’ve talked about tales as hoary as Roswell, The Amityville Horror, Bigfoot, and The Philadelphia Experiment. Things we’ve all heard a thousand times, and about which there’s often not much new to say. Am I preaching to the choir? Am I wasting my breath? Am I repeating old information to an audience that’s already tired of hearing about it? If I were, that would probably be a waste of time. Maybe skeptical outreach should avoid the old subjects. Note: This post is a modified version of an email I sent to someone who was concerned about the state of the skepticism movement. I think it should have a broader audience. 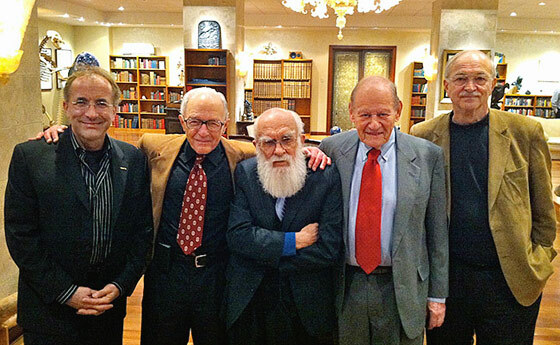 I am privileged to be the President of the James Randi Educational Foundation. I’m a skeptic, and I try to live my life that way (usually succeeding, I hope). Randi was one of the largest motivators for me to be a critical thinker, and my friendship and admiration for him go back many years. 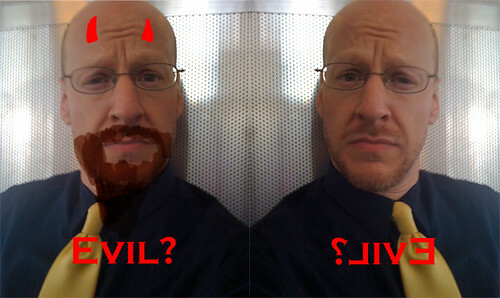 Yet, as Randi himself has pointed out, he and I have very different backgrounds, both academically and in general. Randi comes into skepticism from his being a phenomenal conjurer, stage magician, and trickster. I come from the angle of being formally trained as a scientist, specifically an astronomer.